You are viewing all 11 items. 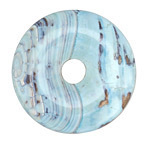 Arctic Terra Agate Rondelle 10x14mm NEW! Arctic Terra Rice 12x8mm NEW! Arctic (light) Terra Agate Rice 21x13mm NEW! Arctic (light) Terra Agate Donut 35mm NEW! Arctic (light) Terra Agate Donut 41mm NEW! Arctic Terra Agate Twisted Oval 40x30mm NEW! Arctic Terra Agate Twisted Oval 19-21x16-18mm NEW! Arctic (light) Terra Agate Twisted Oval 40x30mm NEW! Arctic Terra Agate Coin 30mm NEW! Arctic (light) Terra Agate Donut 26mm NEW! Arctic (light) Terra Agate Donut 31mm NEW!